They are simply light and airy and not greasy. They are fast and my kids have been gobbling them up. The instructions are pretty easy, but they produce a great product. 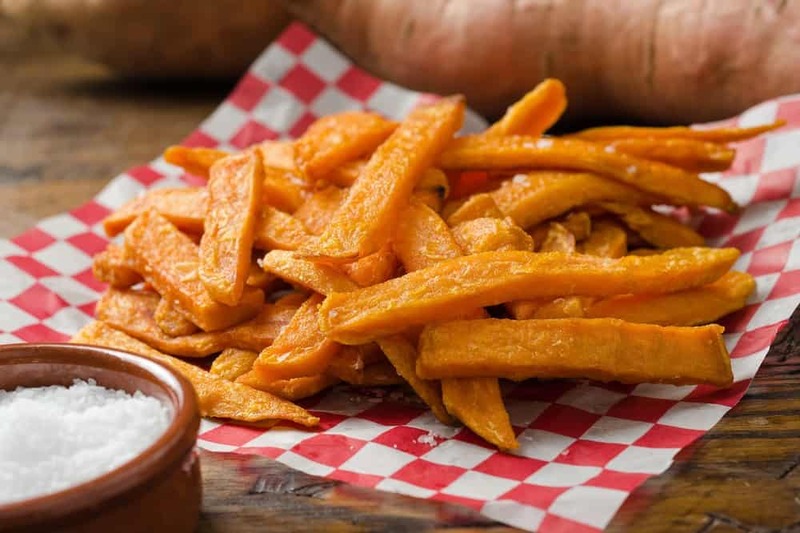 Start by peeling your sweet potatoes, then cut up your sweet potato, into sticks. Please use a good knife, as sweet potatoes are not the easiest things to cut. Place all of your fries into a bowl and coat them with 2 tablespoons of oil. Just enough that they are coated. You don’t want them over oily. Toss them so that each fry gets coated. I set my degrees to 200F and timer to 9 minutes. Then I flipped them and cooked them another 6 minutes. So, that both sides would be done. Gather them in a bowl and give them a great big old dusting of salt. 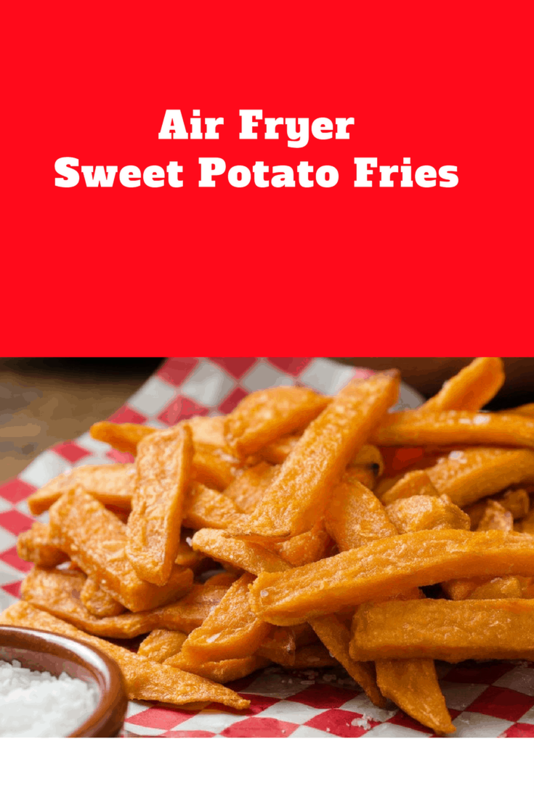 A serving of delicious deep fried sweet potato fries.